The department store is open Monday to Saturday from 9:30 till 21:00 o'clock and Sunday from 11:30 till 18:00 o'clock. 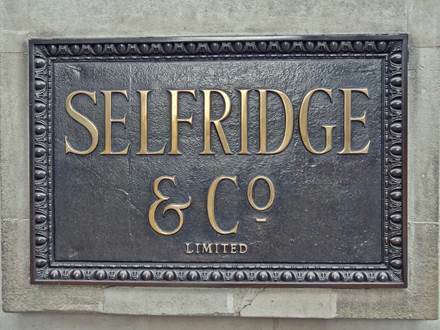 Tip: If you want to get an exquisite souvenir from your London trip you should have a look at the wide selection here. 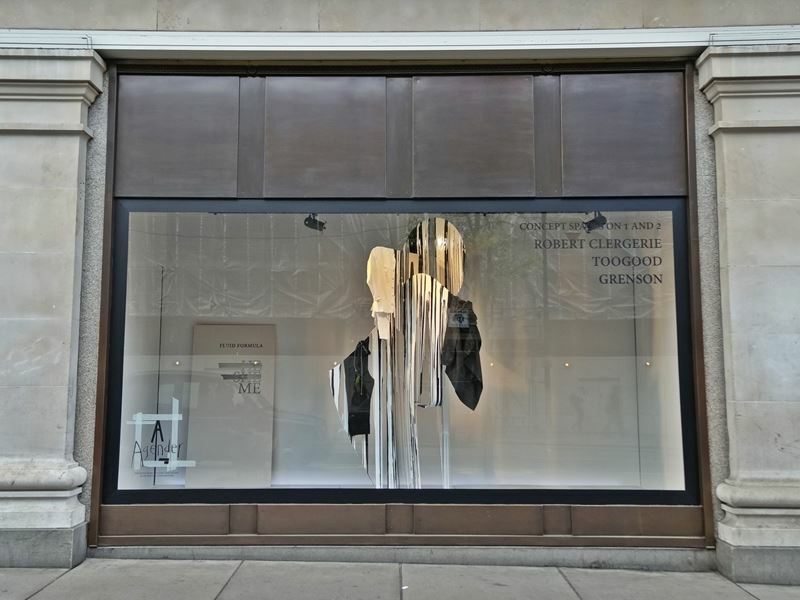 Especially recommendable is their private label -Selfridges Selection-. Real British shortbread biscuits or a typical Earl Grey Tea belong to the classic souvenirs from London. 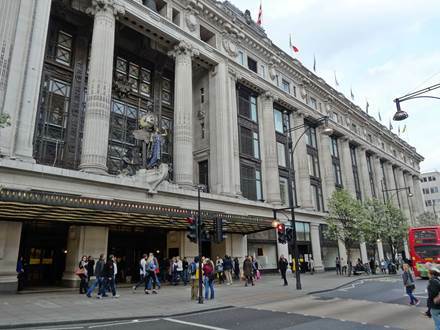 Selfridges in London is the biggest department store in Oxford Street and after Harrods the second biggest in London. 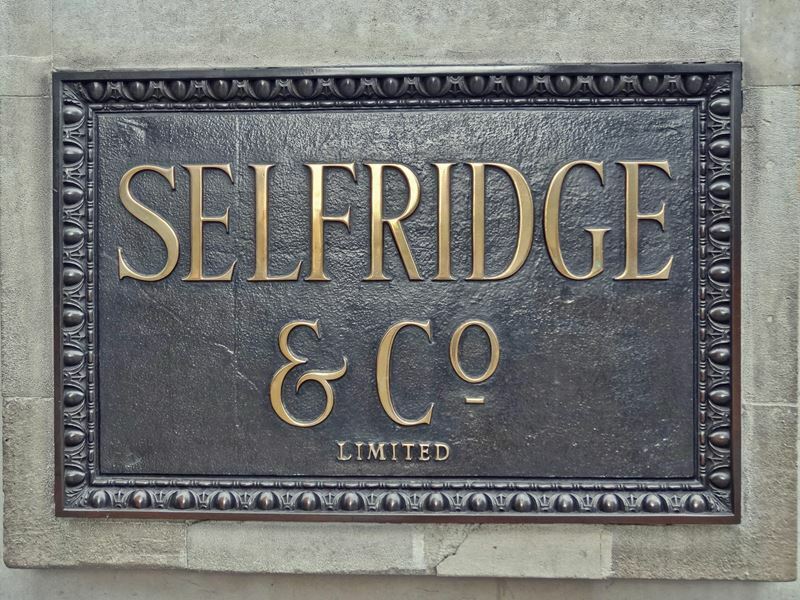 The luxury department store was founded in the year 1909 by the American Harry Gordon Selfridge. He was convinced that he could create a serious competitor to the classic English stores by using some modern American sales methods. The selling concept for luxury shopping seems to work successfully for over 100 years. What are the most popular departments? 1. The shoe departments are a special highlight at Selfridges. Both the women's and men's department are among the largest in the world and form a huge shoe palace. In the women's section -The Shoe Galleries- over 5000 pairs of women's shoes are presented at an area of approx. 3200 m². Among the over 100 different brands exhibited you will find famous names such as: Valentino, Nine West, Michael Kors, Dune and Timberland. The chance to get the right size of your favorite is quite good as there are usually more than 100,000 women's shoes in stock. Even if the men's shoe department does not reach these dimensions it is still huge. Here you can choose out of more than 3,000 pairs of men's shoes. About 80 Brands are exhibited on 1400 m² luxury shopping space. 2. When it comes to popular luxury departments than of course the jewelry department may not be absent. At Selfridges this department is housed in the so-called -Wonder Room-. The hall with over 1700 m² sales floor exhibits the fine jewelry, watches, sunglasses and other luxury accessories. Besides Rolex, Cartier and Tiffany you will find also new products like the Apple Watch. 3. The Food Hall at Selfridges can not keep up with Harrods but it is still worth a visit. Treat yourself one of the many fresh offered pastries or find an exquisite souvenir on your London trip. 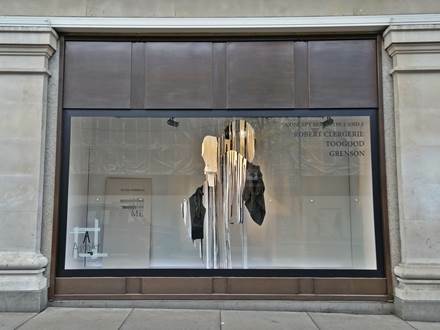 Up to 12 shop windows on Oxford Street are artfully designed and invite you to window shopping in an unique way. 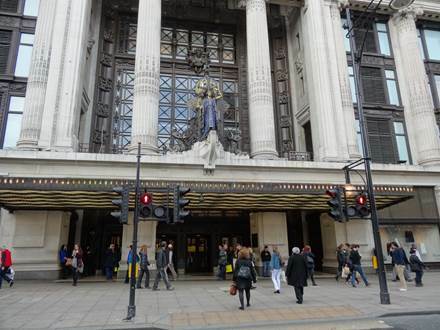 This is already for more than 100 years a specific feature for the Selfridges department store.